If you are looking for a new kick to pump up your lifestyle or turn heads on the hard court, Jordan Brand’s Easter-themed kick should be one of your priorities. 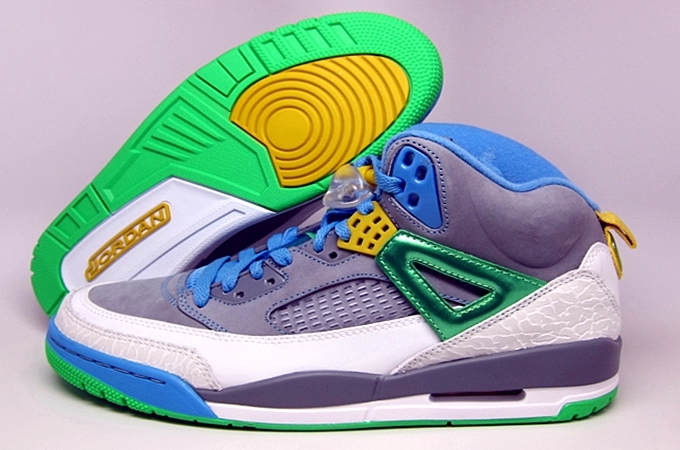 The Jordan Spiz’ike will be available in an “Easter” edition or what is officially known as the Stealth/Poison Green-University Blue-Blitz Blue-Vivid colorway of the shoe. This eye-catching kick is dominated by stealth touches and enhanced with pastel accents throughout the shoe. This shoe will hit the market on Easter Sunday, March 30, and it could be yours for just $175 so make sure to watch out for this kick!